A-HOTEL.com - Luxury and cheap accommodation in Dubinino, Russia. Prices and hotel, apartment booking in Dubinino and surrounding. Featuring barbecue facilities, Irkutskaya na Kultushnoy Holiday Park provides accommodation in Posol'skoye. Some units feature a seating area and/or a balcony. 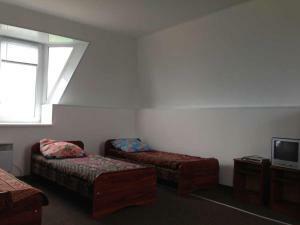 Situated in Nizhnaya Ivolga, Guest House Altargana has a terrace and a shared lounge. Boasting a 24-hour front desk, this property also provides guests with a restaurant.